Watching the Rose Parade on New Years day, I cheered with the crowds as the float of the Grand Marshal passing by. Captain Chesley Sullenberger rode down Colorado Boulevard in a vintage 1928 Pierce Arrow with his wife, Lorrie, and two daughters. He is the Grand Marshal of this year’s parade. He is a real person, a real hero. 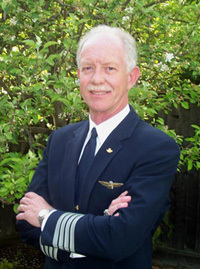 On January 15, 2009, when his US Airways Flight 1549 failed, Capt. Chesley Sullenberger, remaining cool, calm and collected, successfully ditched his flight into the Hudson River, saved 155 lives. After the plane was down, he undid his safety belt and walked the length of the plane to make sure all the passengers were safely outside. Calling him “Sully”, the family and friends were not surprised at all at his heroic action, “If you met Sully, you’d understand. You’d say, ‘Yep, that’s Sully.’” “He’s a great guy,” said John and Jane Garcia, neighbors of Sullenberger. A great guy indeed. And a story of inspiration. The Hero Of Flight 1549 is just one of the many inspiring stories of the last decade. In contrast to the cruel conducts of those who continuously disrespect justice and rights of others, there were countless individuals and groups in the decade brought hope to the world with their courage and loving-hearts. 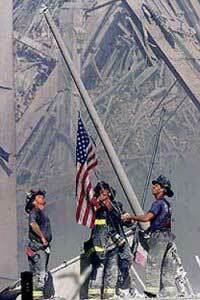 The Heroes of 9/11 – the firefighters, the policemen, the medical personnel, rescue workers, and all the common people who helped others on the attack sites during the actual disaster days, and those who helped to clean up in the aftermath of 9-11-01. For at least one day in 2001, there were no Republicans or Democrats. The nation came together on 9/11 like never before, and the volunteers, rescue workers, and civil servants who gave their lives on that day were an undeniable inspiration. Budi Soehardi, Indonesia’s real hero – In a country that the news is about corruption at the highest levels of government and the persistent poverty among the nation’s masses, Budi Soehardi brings some hope to his country’s citizens. 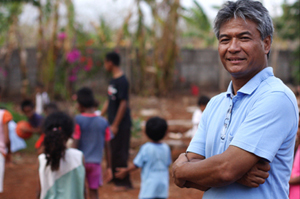 Budi founded a children’s home in one of the poorest areas of Indonesia. Today, Roslin Orphanage in West Timor provides food, shelter and education to more than 45 children. “What has been done by Budi may not be that spectacular in terms of the number of people he helps, but it’s real,” said Bayu, the deputy minister of the Agriculture Ministry. Xu Zhiyong, a bright light in the dark – In a nation human dignity and human rights are considered irrelevant by the authorities, Xu Zhiyong is determined to make a change with his own actions. The legal scholar and activist has emerged as a vocal champion of victims’ rights in just about every major legal scandal of recent years, offering pro bono advice to victims of police brutality, tainted milk products, and extrajudicial detention. 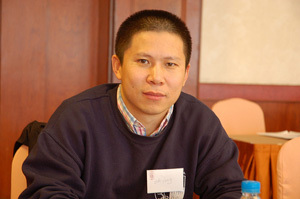 In 2003, Mr. Xu co-founded Gongmeng – Open Constitution Initiative – to protect the rights to which Chinese citizens are theoretically already entitled. The NGO was shut down for alleged tax irregularities, and Xu was arrested and detained in July 2009. 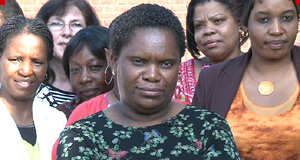 Following a domestic and international outcry, he was released in late August. He immediately engaged himself in the unfinished tasks of helping the victims. 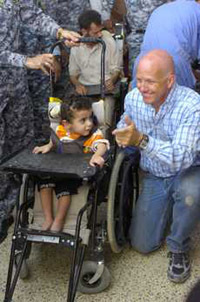 Wheelchairs for Iraqi Kids - Five years ago, Brad Blauser of Dallas landed in Iraq as a civilian contractor. He quit his job in 2005 in order to focus full time, and without pay, on securing wheelchairs for disabled Iraqi children, to whom he refers as “the forgotten ones in this war.” For the past four years, the native Texan has been providing hope to hundreds of disabled Iraqi children and their families. It is impossible to list all the great stories. I am sure there are many many untold ones. It’s a shame that the big-boy medias would rather devote their passion and enthusiasm to political quarrels that do nothing positive but further widen the divide. I become discouraged these days even to think turning on a news channel, when they could use their tremendous resources to discover the beautiful souls and boost the impact to the world peace. Shoes for Orphan Souls – Shoes for Orphan Souls provides new shoes and socks to orphans and at-risk children throughout the world. From conducting shoe drives to humanitarian aid trips, Shoes for Orphan Souls offers hands-on opportunities to individuals, groups and organizations wanting to transform lives. 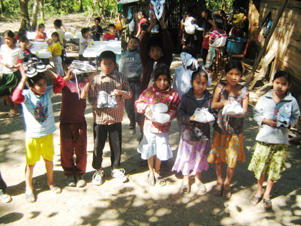 Since 1999, 2 million pairs of new shoes and socks have been distributed to children in 68 countries. It is not just shoes, Shoes for Orphan Souls brings dignity and pride to those underprivileged children, makes them feel they belong to the family of mankind. SOS Children’s Villages - The world’s largest orphan charity, building families for children in need, helping them shape their own futures, and sharing in the development of their communities since 1949. 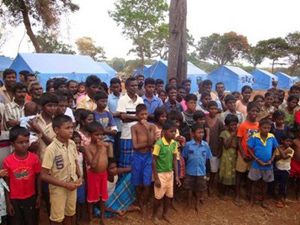 SOS Children’s Villages has built 500 villages in 132 countries. Those who reach eternal happiness are the ones who have abandoned greed, who would relinquish everything, including power, when the rights of others are endangered, who truly respect equality, who surrender themselves completely to the belief that everyone is created equal. And they are the the backbones for a peaceful world.